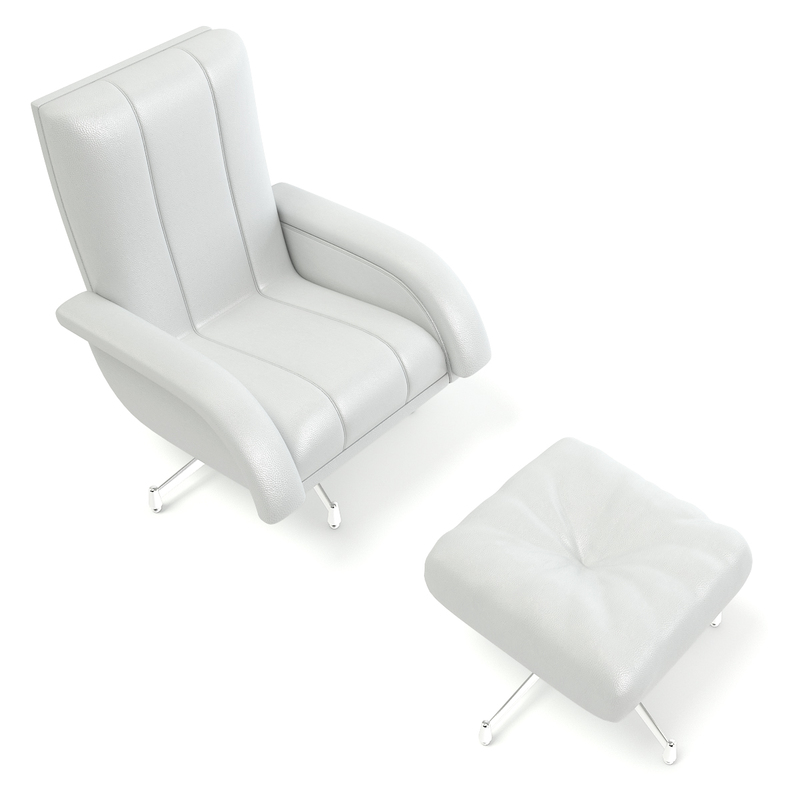 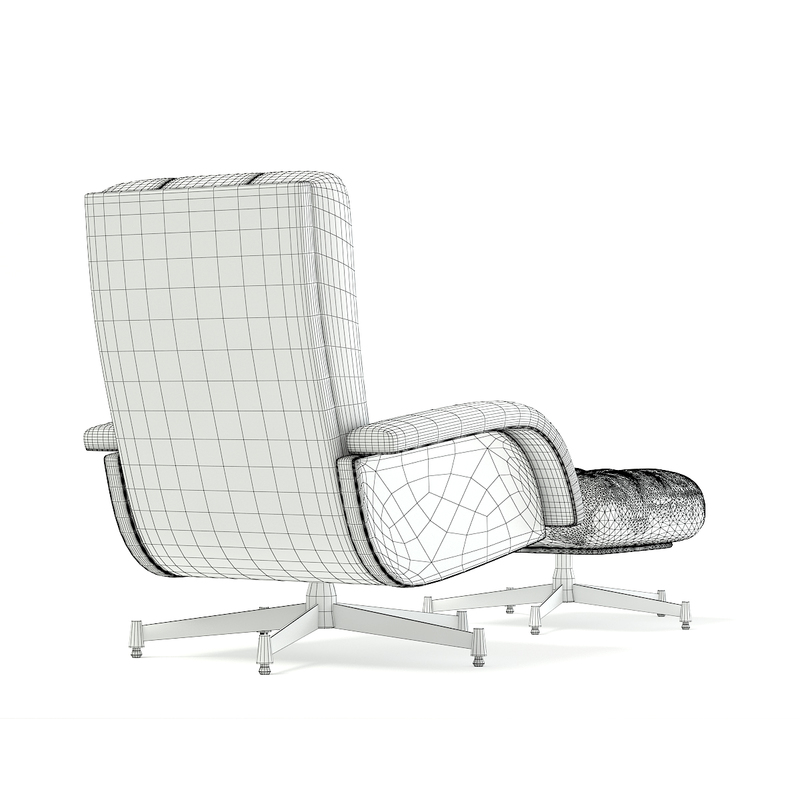 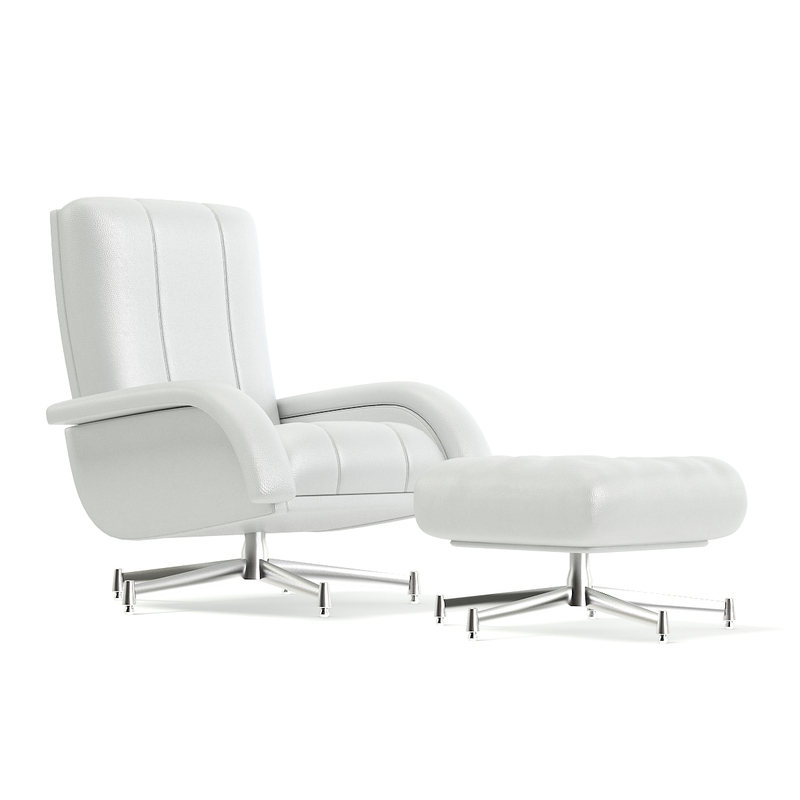 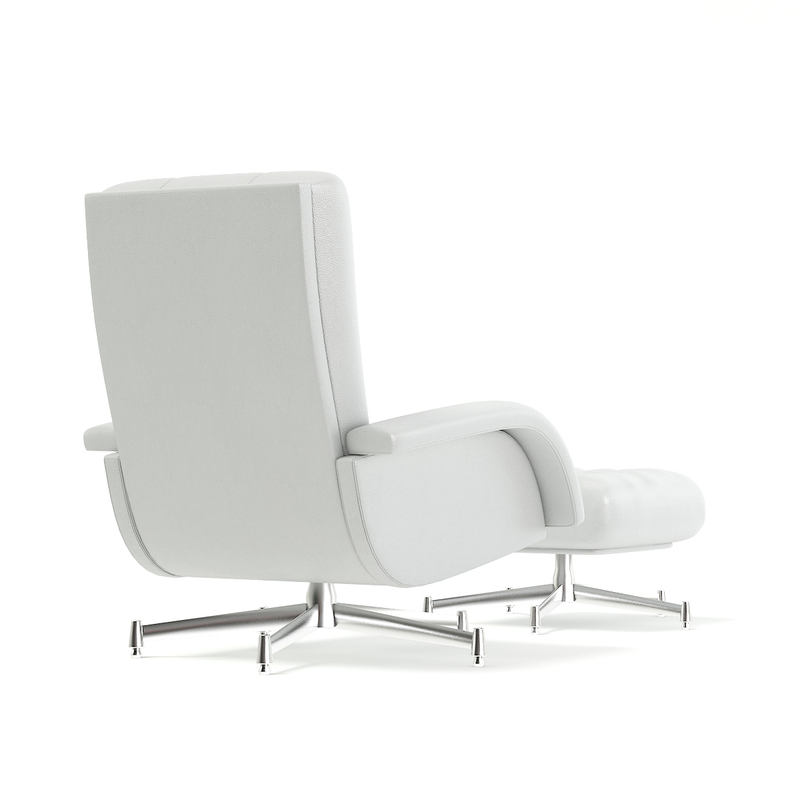 White leather swivel chair with a stool 3d model. Armchair and a stool have chromed metal legs. 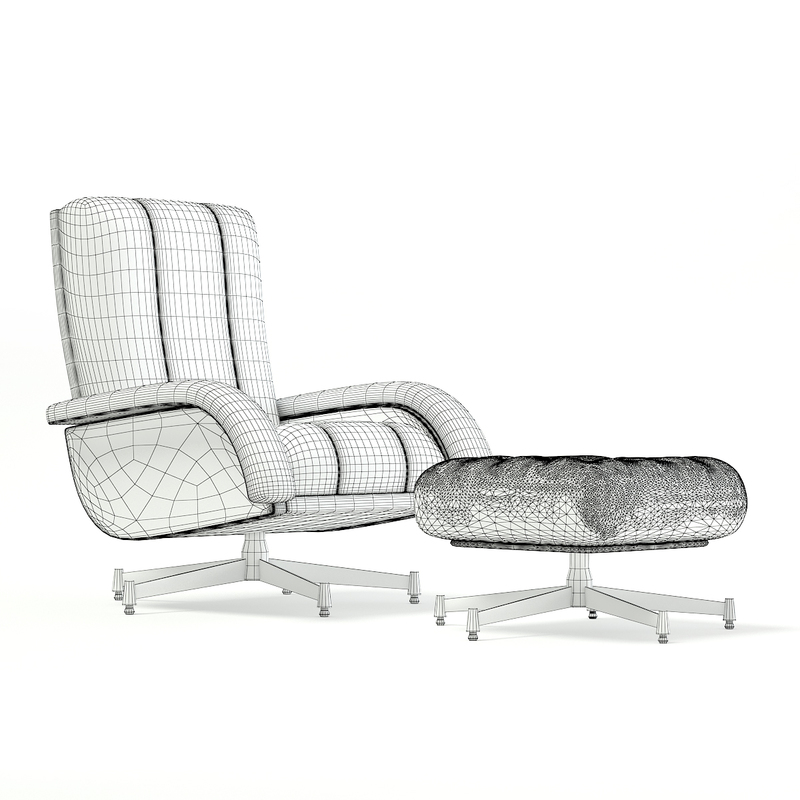 Compatible with 3ds max 2010 (V-Ray, Mental Ray, Corona) or higher, Cinema 4D R15 (V-Ray, Advanced Renderer), FBX and OBJ.